With an array of traditional and online graduate programs, UW-Eau Claire offers a bevy of courses at the master's, educational specialist and doctoral levels; each designed to greatly advance your education. 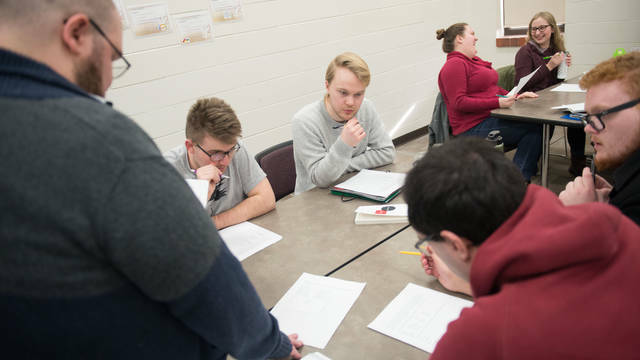 Departments and faculty provide thorough, detailed classes, that draw from real-world experiences and academic rigor. These efforts and more, foster intellectual development and give the professional edge necessary to excel in a multitude of professions and within our global communities. U.S. News & World Report consistently ranks UW-Eau Claire as one of the top public regional universities in the Midwest. UW-Eau Claire is a member institution of The Council of Graduate Schools and accredited by the North Central Association of Colleges and Schools. The Wisconsin School Psychologist Association has frequently named a UW-Eau Claire student the top school psychology graduate in Wisconsin. The College of Business MBA program has been recognized as both innovative and creative by AACSB International. Through the University of Wisconsin MBA Consortium, the College of Business offers an online business certificate and the MBA degree program. UW-Eau Claire offers flexible graduate programming. The Master of Business Administration (offered through the UW MBA Consortium) and the Master of Science in Data Science degree programs are fully online; the online Communication Sciences and Disorders degree program is a part-time, 3-year program, which only requires one short visit to campus each year; and the Master of Education in Professional Development degree is a blended weekend and online program that is mostly online, it just requires one Saturday face-to-face meeting per month (schedule provided well in advance). 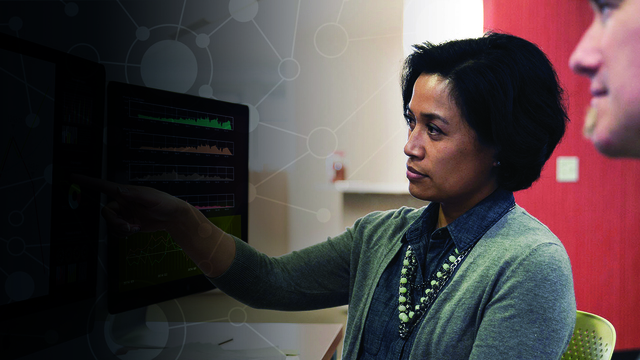 Professionals preparing for the fast-growing field of data science are finding their future in big data with UW-Eau Claire’s online Master of Science in Data Science (MSDS) Program. Recent master's degree graduate in English-writing, Kelsey Gierach takes the opportunity to lead an 8th grade writing class, and to help them see that mistakes are natural and part of the learning process. The University of Wisconsin-Eau Claire, and specifically the faculty and staff of the economics department, prepared me to be a critical-thinker, a problem-solver — a better citizen of the world. UW-Eau Claire is a member institution of The Council of Graduate Schools and accredited by the North Central Association of College and Schools. The MBA program in the College of Business has been fully accredited and recognized as both innovative and creative by AACSB International. The Nursing programs in the College of Nursing and Health Sciences are accredited by the Commission on Collegiate Nursing Education (CCNE).